How did September go for you? Did you find something fabulous to read that was set in London? 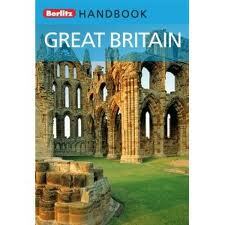 There certainly isn’t a lack of great reading material set in the English capital. With so much history and culture and so much influence on the world (an Empire that at one time spanned the globe), the possibilities for excellent reading material are nearly endless. I chose to read a fairly new novel, Everyone Brave is Forgiven by Chris Cleave. Set in London during World War II, it focuses on the home front during the London Blitz and the hardships suffered and bravery shown by those left behind. Typical dry British wit and stiff upper lip attitude contrast with the very real terror and danger of London under siege making for a tense and absorbing read. When war is declared in 1939, Mary immediately leaves her school in Switzerland and races back to London, convinced that she will miss out on the “action” and volunteers at the War Office. Instead of becoming a spy as she has imagined, she is assigned a position teaching children who have not been evacuated. She is disappointed and frustrated, but then the Blitz begins and she is suddenly in the midst of the “action” and it’s brutality. 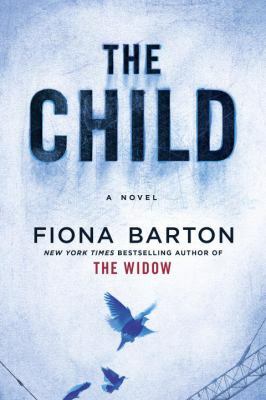 A growing friendship with her boyfriend’s roommate, who is stationed in Malta, brings the horrors of the front lines to the story and shows that there are many ways to be brave both at home and in the field. A fascinating, bittersweet look at wartime London. Now it’s your turn – what did you read in September? Let us know in the comments! Don’t get your knickers in a twist – we’re heading to London this month! It’s going to be brilliant! There is no lack of books set in London. 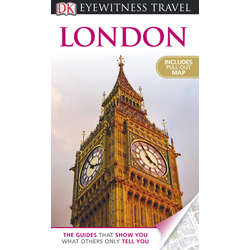 In fact, there is a glut of books set in London. There should be no problem finding something of interest! Here are a few ideas to get you started. The Crimson Petal and the White by Michel Faber. In 1870s London, a prostitute known as Sugar sees a potential way out of the brothel she works for when she is taken in by William Rackham, the son of a wealthy businessman. The Postmistress by Sarah Blake. In London covering the Blitz with Edward R. Murrow, Frankie Bard meets a Cape Cod doctor in a shelter and promises that she’ll deliver a letter for him when she finally returns to the United States. Bridget Jones’s Diary by Helen Fielding. Bridget Jones takes readers on a tour of a hilarious year-in-the-life of a confused thirty-something singleton who would have all the answers if she could just lose seven pounds, stop smoking, and attain inner poise. Wolf Hall by Hilary Mantel. Assuming the power recently lost by the disgraced Cardinal Wolsey, Thomas Cromwell counsels a mercurial Henry VIII on the latter’s efforts to marry Anne Boleyn against the wishes of Rome, a successful endeavor that comes with a dangerous price. And, of course, there are dozens of mystery authors to explore – Arthur Conan Doyle, PD James, Laurie King, Anne Perry, Jacqueline Winspear and Elizabeth George to name just a few. From historical fiction to modern satire, just about every literary taste can be met. Watch the displays at each Davenport library location for lots more suggestions. 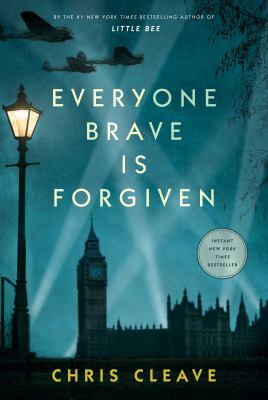 I’m going to be reading Everyone Brave is Forgiven by Chris Cleave which takes place during the Battle of Britain in World War II, a book that’s been on my “to-read” list for a long time. What will you be reading? 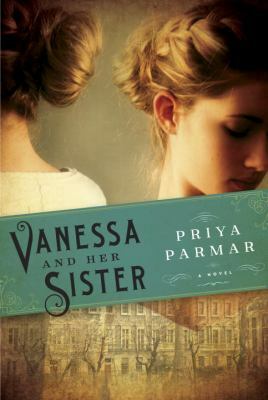 The landscape shifts when Vanessa unexpectedly falls in love and her sister feels dangerously abandoned. Eerily possessive, charismatic, manipulative, and brilliant, Virginia has always lived in the shelter of Vanessa’s constant attention and encouragement. Without it, she careens toward self-destruction and madness. As tragedy and betrayal threaten to destroy the family, Vanessa must decide if it is finally time to protect her own happiness above all else. The titular beauty of Beguiling the Beauty is Venetia Easterbrook, a young widow widely regarded as the most beautiful woman in London society, who vows revenge against the Duke of Lexington when he slanders her good name. Since he knows her by her famously stunning face, she wears a veil to seduce the Duke, London’s most eligible bachelor, while crossing the Atlantic on a luxurious steamer, planning to ditch him at the end of the journey and teach him a lesson about love gone wrong. Little does she know that their shared love of fossil-hunting and study of dinosaurs will cement their intellectual compatibility even as their physical chemistry sizzles. Sherry Thomas’ newest novel, first in a planned trilogy, is a delight: it’s absurd, it’s sensual, and it’s great fun! In what other novel is the gift of exquisitely preserved tetrapodichnites (fossilized dinosaur tracks) fraught with emotional significance?! Where else in literature does a veil that blocks the wearer from seeing, eating, and kissing seem like a glamorous accessory with only the addition of a few paillettes? Nowhere! With the exception of the denouement (which is silly) and the groundwork laid for the two planned sequels (which is distracting), this romance is a pure, unadulterated delight. The historical setting feels genuine rather than slapdash, and Thomas’s writing is smart and snappy. 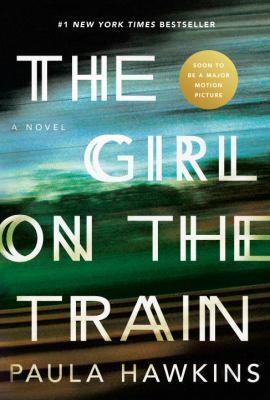 A flat-out perfect beach read for any romance reader, though it doesn’t stand up to vigorous literary scrutiny: after all, the Beauty is the one doing all the Beguiling here, and if even the title doesn’t take this book too seriously, how can readers? Despite that, the conceit of the masked seductress combined with the interest in paleontology makes this romance uniquely entrancing – or even beguiling. Little Bee offers a lot to talk about, but without a lot of substance. It exhibits a weird tension between visceral and twee, with its pretty cover, gimmicky blurb, Dickensian coincidences, and gritty portrayal of humanitarian crises in western Africa. It’s a book that doesn’t make you decide between ‘drama of unimaginable cruelty and violence’ and ‘saga of suburban ennui and infidelity’ – it just has both, and by virtue of that uniqueness, it’s already worthy of discussion. Additionally, the sadness of the subject matter and its real-life inspiration make this a heart wrenching book that will absolutely give book clubs fodder for great discussion. 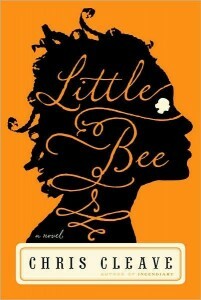 There’s a lot of good in Little Bee; it’s snappy and readable, even beautiful in its language at times. Its setting contrasts the familiarity of London with the unknown of its asylum-seekers and Nigeria’s oil conflict in a surprisingly effective way. But there are lots of negatives too: the plot has turns so contrived you’ll wince, and Little Bee herself is so perfectly perfect that her nobility can be tiresome. Few of the characters are memorable and even fewer are sympathetic. It also suffers from the plight of Changed Title Syndrome, wherein the publishers change the original title in an attempt to appeal to American audiences (this also famously happened with Harry Potter and the Philosopher’s Stone – because presumably, American kids would never stoop to read something with a word as dull as ‘philosopher’ in the title). 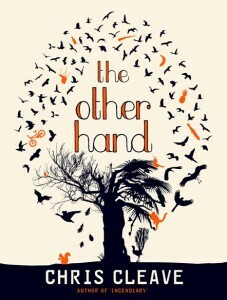 In this case, the wonderfully apt and evocative title “The Other Hand” was rewritten to the rather plain and accessible “Little Bee.” Rather than calling attention to the central metaphor and most vivid scene of the book, the new title simply names the main character, and it’s rather banal by comparison. “Little Bee” is an unusual, readable book that, while imperfect, would make a great choice for book clubs (provided all members are comfortable with some gritty, violent scenes). True Love (And Other Lies) by Whitney Gaskell has an interesting premise and a promising heroine.Things I like – Clare is funny and snarkily irreverent about her job as a travel writer for the magazine, Sassy Seniors! Based in New York, she must evaluate destinations with an eye for early-bird specials and frugal accommodations. Usually, when she gets to travel, she’s sent to budget hotels in American cities.When she finally gets an opportunity to go to London, she feels the time spent paying her dues has paid off. 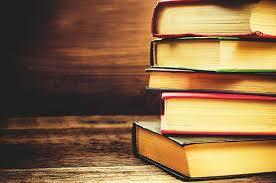 (Actually the reason I am reading the book is because I did a search for novels about travel or travel writers). Sherlock Holmes comes to the 21st century in the new BBC series Sherlock. Consulted reluctantly by the police, Holmes is brilliant, sarcastic and socially awkward. Watson, a military doctor that has just returned from Afghanistan after being wounded, is not the bumbling fool so often portrayed in film but is an equal partner in the detective work and also serves as a moral compass for Holmes. The familiar framework remains, just tweaked in places for the modern setting. 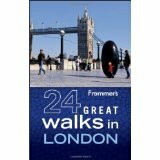 Thus, the deerstalker becomes a scarf, Watson keeps a blog rather than a journal, London atmosphere comes from a skyline that includes the Millenium Wheel and the Gherkin building rather than foggy, cobblestone streets and Holmes finds his informants among the homeless rather than street children. What doesn’t change, however, is the brilliant Holmes – socially misfit, actively disliked by many, hyper intelligent. As you would expect from the BBC, the production values are excellent. Filming on location in London lends authentic atmosphere; the writing is sharp and witty with many homages to the Arthur Conan Doyle originals; and the acting is outstanding. The only negative? There are only three episodes. However, the series proved to be so popular in England that they are currently filming three more episodes – watch for them on PBS in the fall. 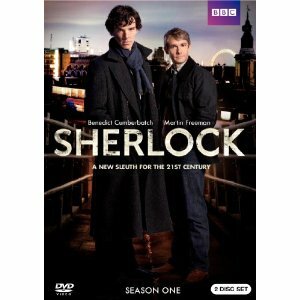 Whether you’re new to Sherlock Holmes, or longtime fan you’re sure to enjoy this fun new series.